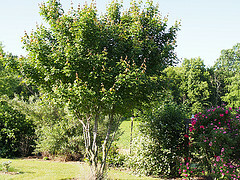 Costs – Knoxville, Tennessee is home to many different trees that need regular care and maintenance. See what professionals charge on average in the area. FAQs – What kind of trees thrive in Knoxville? Before you consider putting down new ones or pulling up old, be aware of these facts concerning trees in the city. Services – See our list of professionals in the area for more information. How Much Do Tree Services Cost in Knoxville? Knoxville is a beautiful Southern city located in Eastern Tennessee, and it boasts a lot of history and impressive architecture along with plenty of undeveloped areas. Homeowners living in and around Knoxville often enjoy spending time outdoors thanks to the pleasant and relatively mild climate, but keeping trees and plants maintained can be an uphill battle. Let this cost guide give you a better understanding of the various expenses associated with tree care and removal in Knoxville, Tennessee. Removing a dead or unsightly tree can be a hassle, but professionals are able to bring a tree down safely without the risk of damaging your property. The best time of year to remove trees in Knoxville is either in the fall or the spring. You want to avoid any frozen ground, which makes tree removal difficult, but also leave enough time for the grass to regrow before the summer. Expect to pay roughly $593 to have professionals remove a tree on your property in Knoxville. Removing a tree stump can be a serious challenge for a homeowner without a lot of tree maintenance or gardening experience. Your best bet is to hire a professional to use a large grinder that turns even a serious stump into sawdust in just minutes. This task generally costs anywhere from $81 to $135 in the Knoxville area. Even if there are no major tree projects you want to tackle on your property, annual maintenance is important. Consider hiring professionals to prune fruit trees, trim branches that are a danger or even fertilize trees that need extra nutrition. Costs of tree maintenance in Knoxville are an average of $533. Thanks to Knoxville’s humid, subtropical climate, trees are able to thrive. There are no lengthy deep freezes during the winter, and many native trees are accustomed to the high summer temperatures. Homeowners, landscapers and anyone else interested in planting, picking or trimming trees in Knoxville will appreciate the handy tips compiled in this guide. 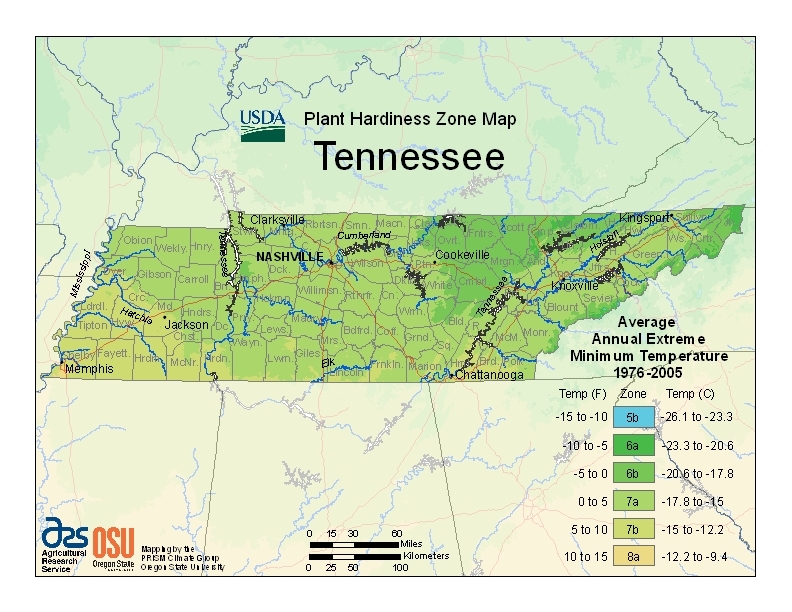 If you are in the process of picking new tress to plant on your property, make sure to look at the hardiness ranking given to plants based on the USDA Plant Hardiness Zone map. This map puts Knoxville in zone 6b, for reference. With this information in hand, look for tree varieties that come as close as possible to that number. You might be surprised at what types of trees grow in the range of 4b to 8a, roughly. Known to most residents at the tulip poplar, Liriodendron tulipifera is the official state tree of Tennessee. Along with being a very beautiful tree that boasts bright yellow flowers, the tulip poplar is found throughout the state and has been used for centuries when building ships, houses and more. According to the experts at Garden Guides, eastern Tennessee has an average growing season of just 130 days, which is relatively short compared to many other southern destinations. However, that window is more than enough to grow fruit trees bearing peaches, apples, pears and cherries. Without question, the trees that are most popular in Knoxville are native species that can handle the combination of hot summers and occasional winter freezes. This list includes five of the most common trees in the Knoxville area. The Tennessee Urban Forestry Council manages an extensive list of the tallest, widest and overall largest trees found in the state. It also earmarks heritage trees that have cultural significance in the area. This organization recognizes the Cedar Lane cedar tree, which was planted in 1844, as one of the oldest and most impressive trees in the city of Knoxville. Smaller decorative fruit and dwarf trees are also common in Knoxville, particularly among homeowners with limited yard or garden space. According to the City of Knoxville, the region lost a significant portion of its tree canopy during the 20th century. As a result, a tree ordinance was passed in 1992 that limits what kind of trees can be removed in the city. However, the ordinance does not apply to public residential property. Those who own commercial property and want to remove trees should take a look at the full Tree Protection Ordinance in order to determine the legal course of action that is best for their landscaping needs. KUB, or the Knoxville Utility Board, is the main provider of electricity in the city and the surrounding neighborhoods. It is KUB that maintains overhead power lines, and their maintenance crews may trim or prune any branches that threaten electricity coverage in the area. If the required pruning or trimming of branches leaves you with a tree shape you don’t like, crews can cut down the tree, but they will leave the cut wood and the stump behind. In addition, KUB recommends that homeowners plan ahead and avoid planting large trees close to overhead power lines. Even among native trees, there are a number of pests that can be a serious threat to plants in Knoxville and the surrounding region. The emerald ash borer is a recent problem as the beetle-like creature from Asia can kill a large tree in a matter of months. Other serious concerns to be aware of include the gypsy moth, the hemlock woolly adelgid and the eastern tent caterpillar.